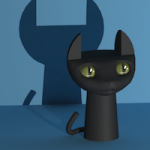 Mipmapped Shadow Fallback component | Nyahoon Games Pte. Ltd.
Mipmapped Shadow Fallback is a component for preparing a fallback of Mipmapped Shadow shader (see also Projector Shaders). Add this component to a projector object which uses Mipmapped Shadow shader. Fallback Shader/Material Set a projector shader or a material for the fallback. Blur Level Set a blur level for the fallback. The blur level of Shadow Texture Renderer component will be replaced with this value. Blur Size Set a blur size for the fallback. The blur size of Shadow Texture Renderer component will be replaced with this value. Modify Texture Size Set true if you want to change the render texture size for the fallback. Texture Width Use this texture size for the fallback. Applicable if Modify Texture Size is true. Texture Height Use this texture size for the fallback. Applicable if Modify Texture Size is true. Multi Sampling Use this multisampling for the fallback. Applicable if Modify Texture Size is true. Super Sampling Use this supersampling for the fallback. Applicable if Modify Texture Size is true. Test Fallback Check this field to test the fallback. You can see how the fallback look like in Scene view.